Difficult: Only for experienced Bush walkers. Hard. Vera Falls is located at in the Blue Mountains. Start the bush walk from the Conservation Hut, at the end of Fitzgerald St and Fletcher St, Wentworth Falls. 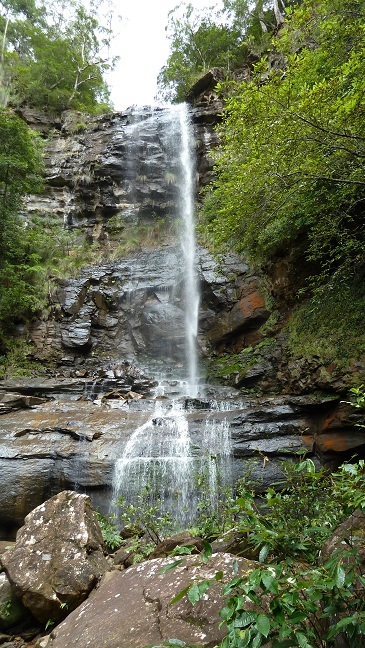 It’s approximately 7km return and is strictly only for experienced bush walkers. From Conservation Hut follow the track to Queen Victoria lookout and Empress falls. Keep heading down to Lodore Falls and then cross the valley of the waters creek. At the end of the Valley of the waters track there are signs that state experienced walkers only as the track can be hard to spot at times and is a steep climb down. The sign is there for a reason so don’t attempt this walk if your an inexperienced bush walker. Go with someone that knows the area and has experience with this trail.